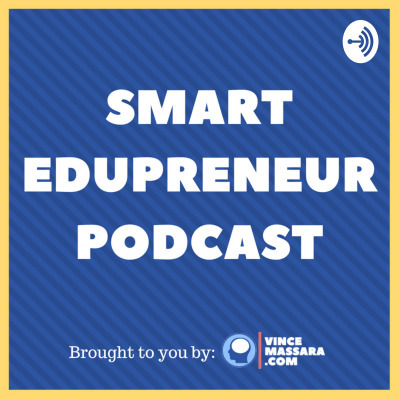 Teacher and business owner, Vince Massara chats with proven edupreneurs, who reveal all of their business, blogging and side-hustle strategies, along with killer teaching tips and tricks so you can be ahead of the curve in bringing teacher-lead innovation into your school. Discover how you can create multiple income streams that work for you whether you want to subsidise or even replace your full-time teaching job. Although Vince confesses he is not a millionaire, he's been able to launch multiple businesses while working only a few extra hours a week. Through his own experiences, and expert interviews, Vince helps you better understand how to do the same.